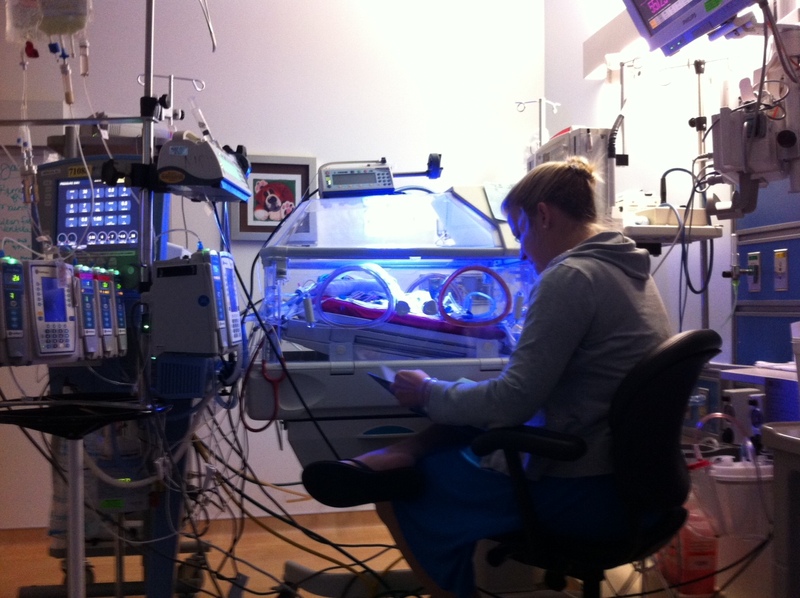 Most families haven’t ever set foot inside a Neonatal Intensive Care Unit. We certainly hadn’t before “everything happened.” And, through our journey, we can now say that we are quite well versed in 3 of them. The three were very different and each had its pros and cons. This is where it all started. Our first glimpse into this world. If this all had to happen, I couldn’t have asked to be at a better place. The unit was brand new and state of the art. We even had our own room. There are not words to describe the how amazing the team is. They cried with us, celebrated with us, held our hands and, most importantly, truly loved our baby. Reading Jacob his first story. There’s the Neonatologist who came in on his day off to check on us and Jacob after his emergency surgery when he was only a week old. The APN’s who came by our room after their shift just to check on us…and I truly mean us, not just Jacob. The respiratory therapist who told jokes to keep us smiling. 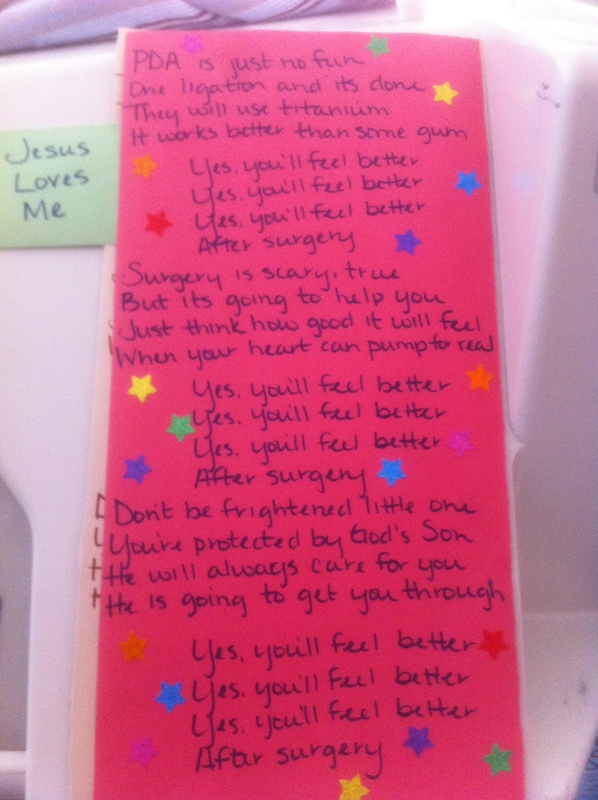 The cardiologist who came back from vacation early to do Jacob’s PDA surgery and, although reluctantly, agreed to recite the song I had written for Jacob to get through this new obstacle. The Neos, who, every single day, would put up with my million questions as I attempted to get every bit of information into my notes so I could relay it all to Bryan. The Infectious Disease doctor with his crazy shirts. The surgeon, who’s gruff shell melted away as he told me what an amazingly strong little boy Jacob was. The patient support team who worked behind the scenes, not only cheering us on, but helping us get home. Even the unit secretaries who made sure we had a place to stay on the scary nights and made us feel welcome each day. 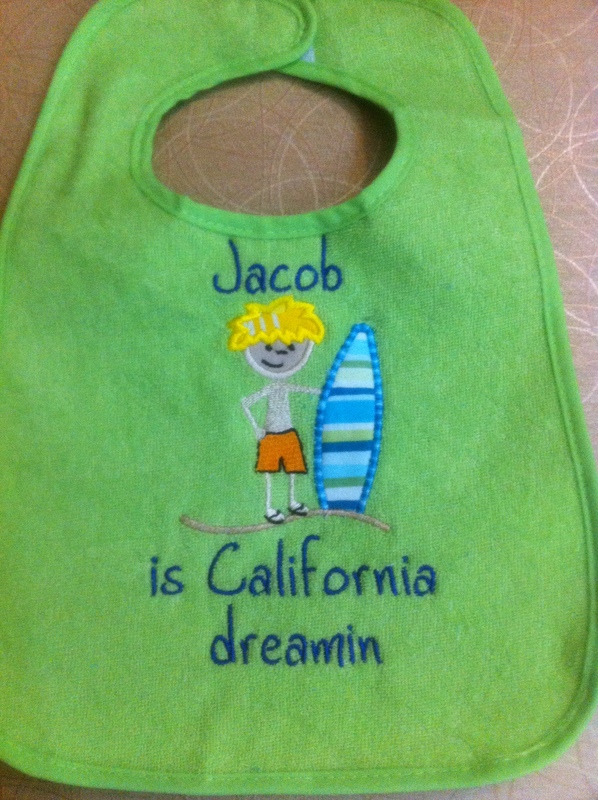 A bib made especially for Jacob by one of the Unit Secretaries. Our core team of day shift nurses. And the nurses. Oh, the nurses. They are truly angels on earth. We had parties when he finally tinkled. Jacob’s first tinkle after his first surgery. We prayed and sang and waited so long for it! 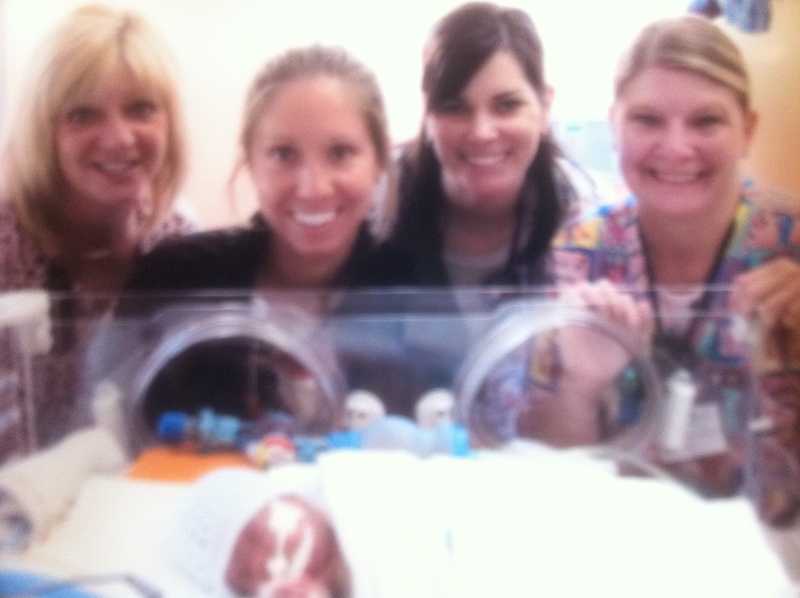 They taught me how to change his teeny tiny diapers. The schlepped countless bottles of milk back and forth as I was constantly pumping. The lifted me up when I was feeling down. 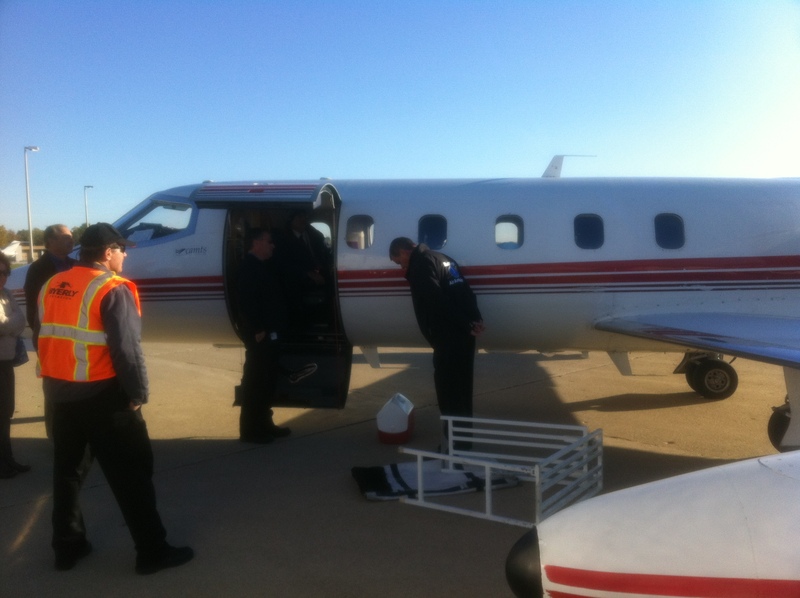 They prayed with us, were scared with us, cheered with us and cried with us when we left. The checked on us when they were off or working in another neighborhood or unit. They left us little notes and never minded my calls through the night to check in. They are our family and always will be. The only possible con of this amazing place was its location. It is 2000 miles from our home and an hour from my parents house. Bryan had to fly back and forth on weekends and the trips were never easy. One was such a disaster it took him over 24 hours to get home. It was incredibly difficult to be separated through this. I am so grateful to my parents and my extended Illinois family for their support through it all. 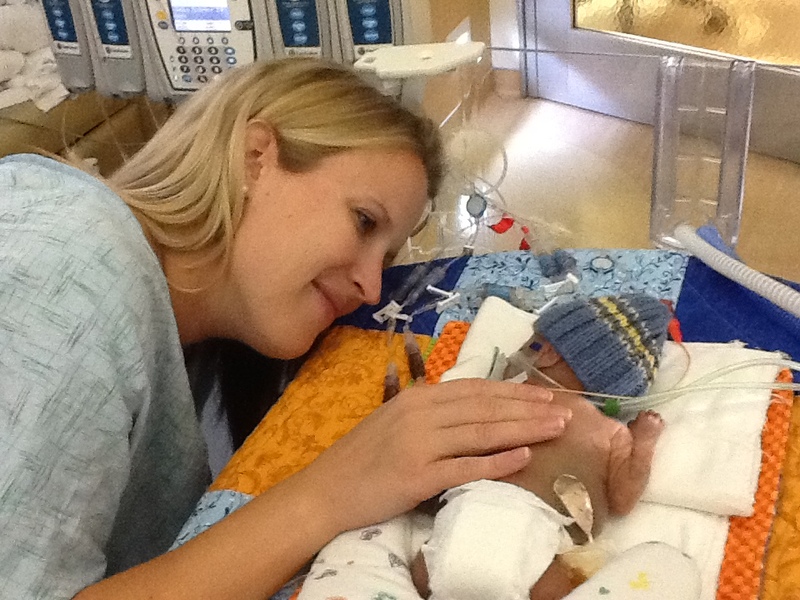 The other NICU’s hardly stood a chance to even compare to CHOI, but they tried. 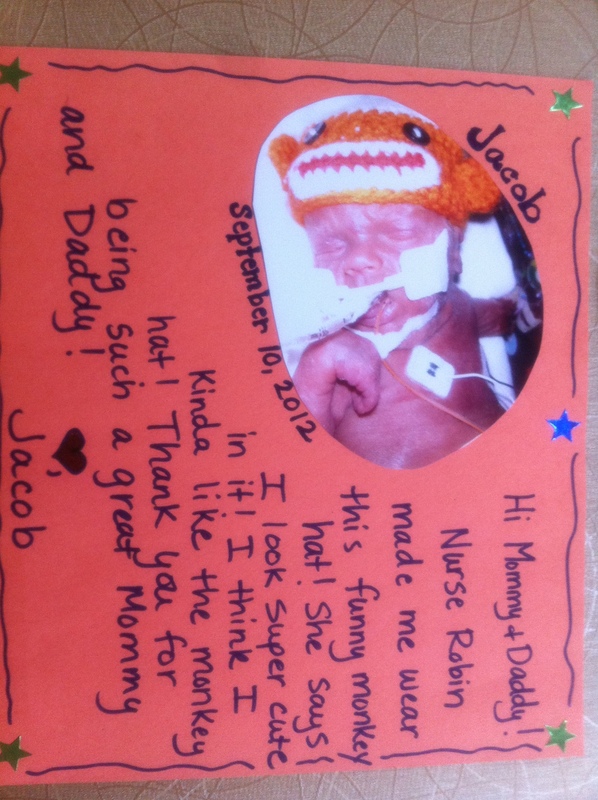 After 2 months, when Jacob was stable enough, we had to leave…but that’s a story for another day. Previous PostThere’s nothing better than a good night’s sleepNext PostLet’s Party!! !